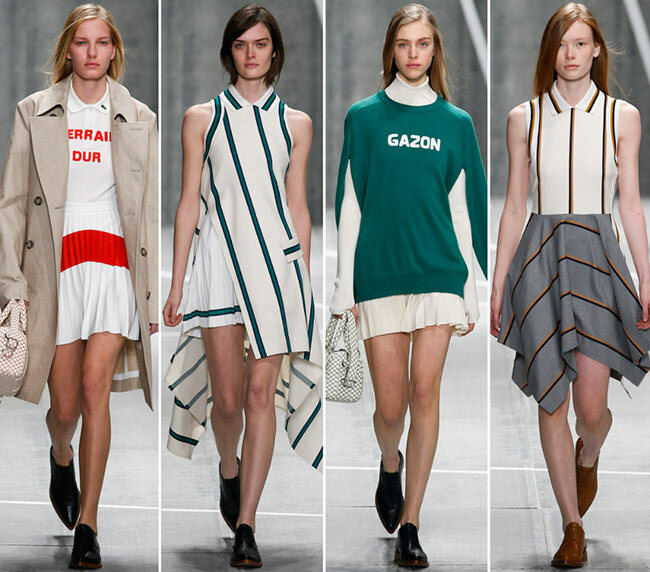 As far as we have Lacoste among the leading trendsetters in the fashion industry, we are going to enjoy the chic attitude of sportswear both in summer and in winter. The new Lacoste fall/winter 2015-2016 collection stays true to the roots of the fashion house and redefines its style ideology bringing comfy and easy sporty chic pieces we are so ready to slip into and walk out the door ready to conquer the streets and the events we head to. 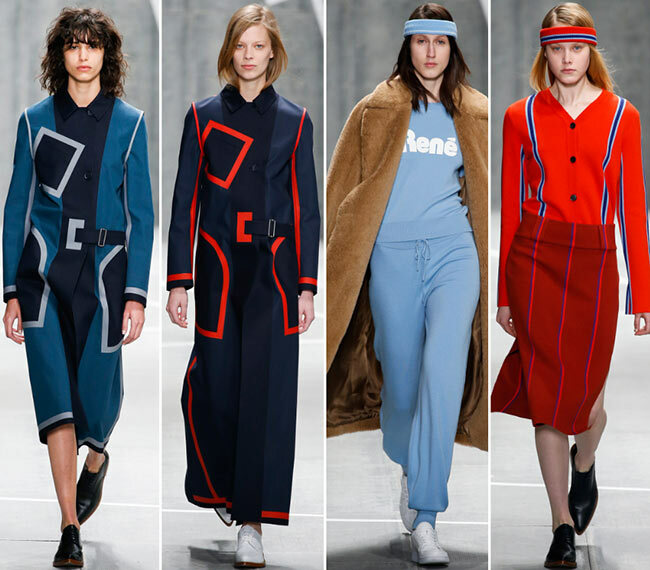 Felipe Oliveira Baptista gave the best definition of his fall line sending the red tracksuit down the runway with the jacket featuring the message “René Did It First’. He, of course, meant French tennis player and businessman Jean René Lacoste, who is well known with the nickname of “the Crocodile’ and exactly who created the famous Lacoste tennis shirt. So no wonder, tennis is the main inspiration behind this cool line, which brings more than the “speaking’ sweatshirts with the words “René’, “Tennis Anyone?’ or “Gazon’ standing for the green tennis court. It’s a parade of different variations of modern sports clothing, flowing dresses, bright colors and striped and checkered patterns. 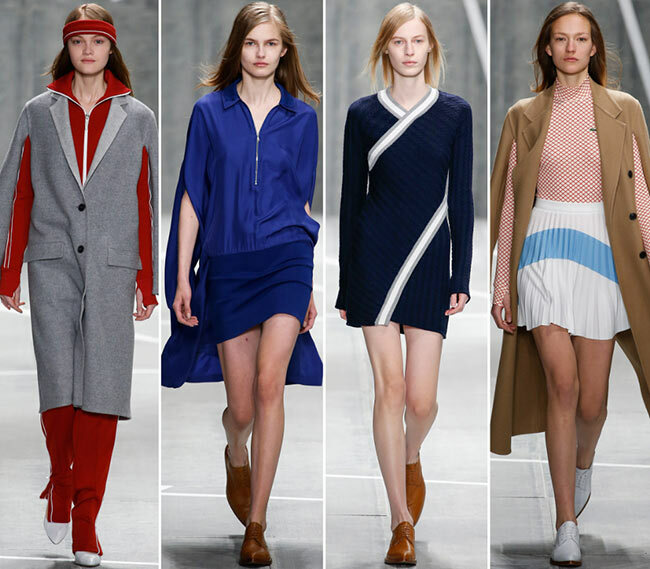 What makes the new Lacoste fall/winter 2015-2016 collection stand out from the many previous ones showcased is the distinctive Seventies references that look so perfect in combination with tennis inspired outfits. 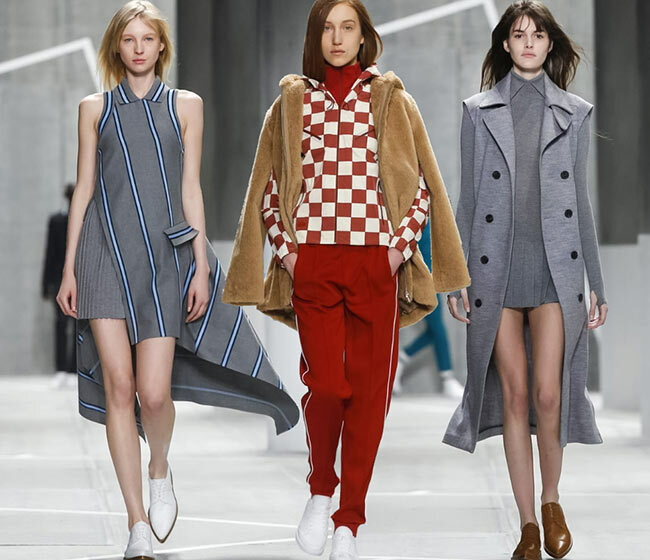 The use of the nutmeg color for the array of urban chic coats and suits is the evident statement of the Seventies style, which obviously holds its strong positions in the upcoming season as well. While the Art Deco prints and graphic stripes inject a modern feel to the designs, we certainly love the retro feel that the entire collection comes imbued with. Alongside the ’70s nutmeg color, the Lacoste fall/winter 2015-2016 collection also features bright pops of red, electric blue, green, white and gray, which look simply perfect both when coming monochrome or featuring touches of stripes and graphic patterns. Of the modern monochrome looks, we especially love the structured long vest in gray topping the knit mini dress (and oh, we adore the pleated design of the skirt!) in the same color and finished off with a pair of brown masculine shoes. It’s a fresh and youthful outfit, perfect for various occasions. The white tennis skirts with a pleated design and a stripe of pastel color on the front look so easy-breezy and summer-y, yet it’s the slim-fit long-sleeved tops and the cozy outerwear that give a fall mood to the look. 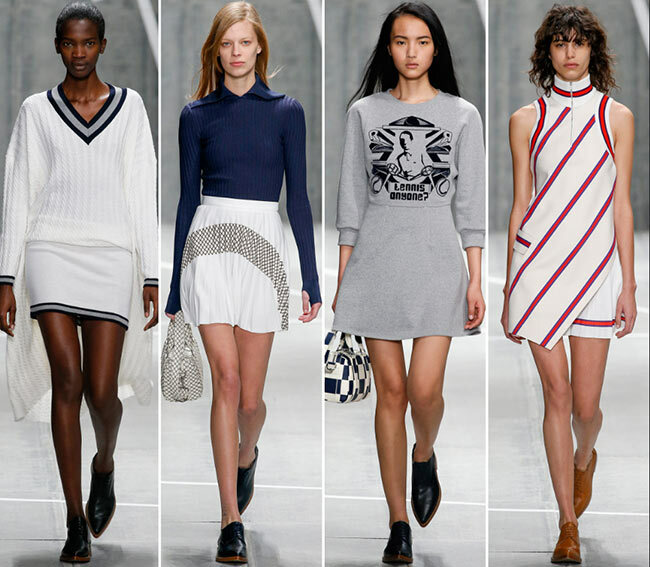 The asymmetric hemline used for a number of dresses, furs and knits are other chic trends Lacoste proudly sets for the new season. Still, it’s the creative approach to outerwear that has us all enchanted with the long sleeves of the coats hanging freely like accessorizing details, instead of warming the arms of the models. And, boy oh boy, we are head over heels for the foot-friendly androgynous shoes that have the capability to inject a chic touch to any outfit, be that an office-ready one or a day-to-day look. 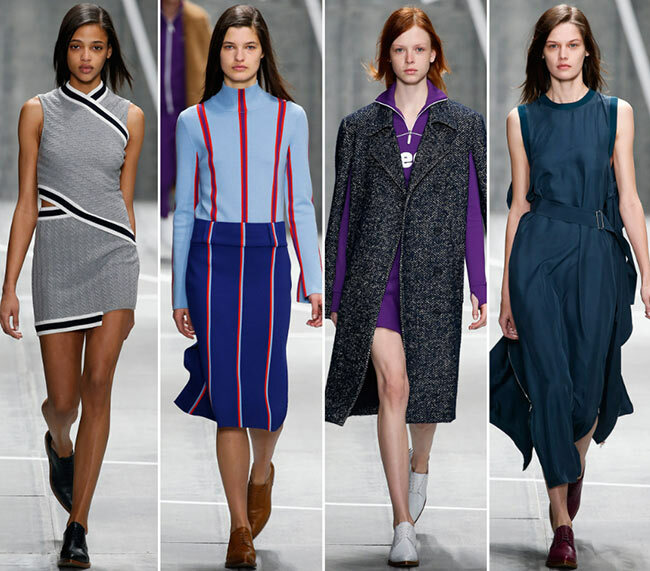 Beauty wise, we again witness natural and simple looks to flatter the sporty chic outfits presented!